I absolutely love this painting. It brings me joy and I will have to have this in my home. My favorite words for my home is Love, Comfort, Peace, and Joy. This will be my JOY! Very colorful and unique. Excellent work! Almost looks 3D----love the colors---voted! very beautiful and the colors are fabulous! 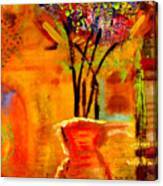 Thanks for your comments Angela on my encaustic art work "Transfert � Lionel Groulx". 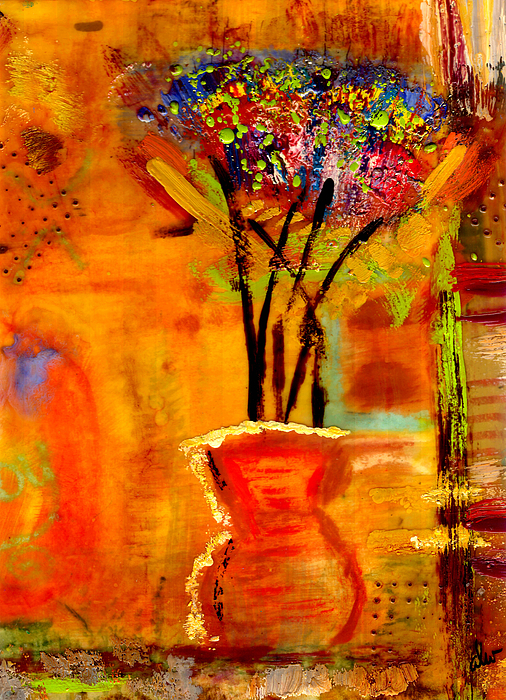 I just love the way you work with encaustic and collages. Very very interesting. The colours are vibrant, out of this world. Congratulations. Thank you very much, Rochelle! Beautiful work, Angela, on this one and the other one that you tied for yourself with for First Place. :) Please feel free to join the Contest Winners First Place on FineArt America group, if you haven't already, and upload this image and the other one to the group. Ties are considered wins in the group. Wow! I am soooo happy and honored and... :-) Thank you CJ! This news was the best I had all day! Wow... thanks so very much, Jolanta! 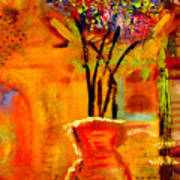 I am thrilled to know you like this encaustic piece. I started my day out with a drawing that would focus on things that brought me JOY... As I developed activites for other surviving victims of violent crimes to use as a way to heal and remember their loved ones (with more JOY and less pain), I thought of the basic design for this encaustic collage. 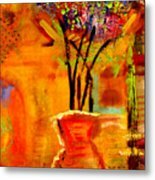 For me, seeing warm colors like yellow and orange seemed to bring forth a smile... and as I thought of my son, the flowers came into view. Creating "On My Window Sill" brought me much JOY that day; I now share it with the HOPE that it will also bring JOY to others! All papers and fabrics used in this collage were made by the artist.